Chicken thighs braised in a bottle of red wine. Paired with beautiful herbed potatoes & french-style green beans à la V. Doesn’t get any better than this. Quintessentially French. Deliciously involved. Made for the first time a few weeks ago. Obsessed with the sauce. 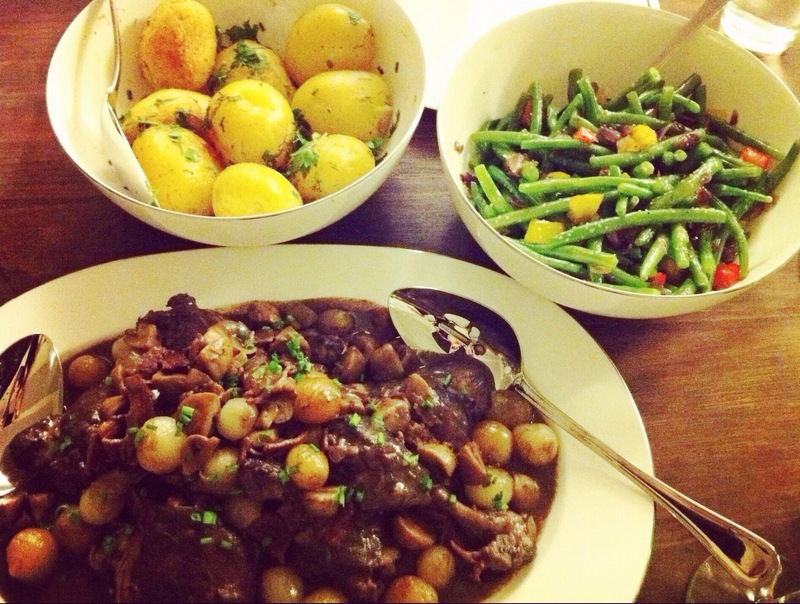 Someone, pls throw a dinner party so I can devote another 2.25 days to this recipe.